The half-yearly meeting of the International User Group, the International Technical Management Committee, the Process Room, the Product Room and the Infrastructure Room will take place in Munich on 7th-10th October 2013. The international buildingSMART BIM Week & Forum, Munich in 2013 is THE BIM EVENT of the year 2013 and a unique opportunity to receive an inside view into global BIM procedures! 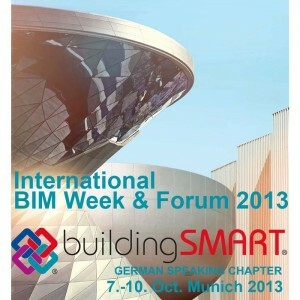 This year the international buildingSMART meeting takes place in Germany. From the 7th to the 10th of October approved BIM experts meet in Munich to discuss the newest developing trends, innovations and their experiences with BIM. 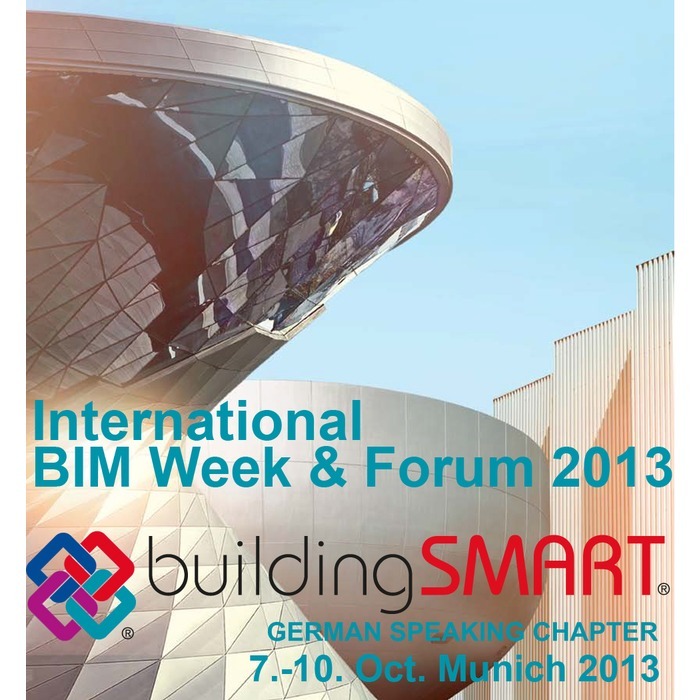 The international BIM Week overlaps with ExpoReal, Europe´s biggest real estate fair. The organizer, buildingSMART e.V., expects about 700 international visitors during the BIM WEEK. an ISO standard – ISO 16739. At the end of a long and meticulous process, IFC emerges stronger and better, and ready to win new fans around the world. The process has involved intensive internal and external reviews to highlight and resolve the issues. As the process took its course, the IFC4 issue database accumulated a total of 1,100 issues that had to be resolved. ‘Software companies usually come in late in the review process,’ explains Thomas. ‘And there was more feedback on the last release candidate than ever before. IFC has come a long way since the early releases in the mid-1990s. End-users will feel the benefits once IFC4 is implemented in commercial software, and there will be a ripple effect as clients get their projects built more efficiently and sustainably. Until then, newly certified IFC2x3 software should be used.